Sonicraft A2DX Lab was designed to meet a specific need in the professional audio community: to provide the ultimate open reel analog-to-digital transfer service. 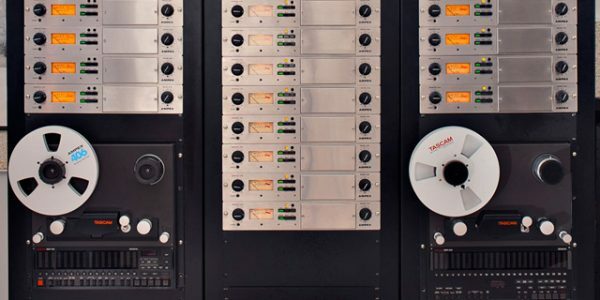 We support every studio-grade and project studio analog tape format and noise reduction system used in the USA as well as Europe and other parts of the world. A2DX Lab is constantly evolving and represents a fanatical determination to attain the absolute best quality open reel tape transfers over the widest range of formats possible. You are going to love the results. 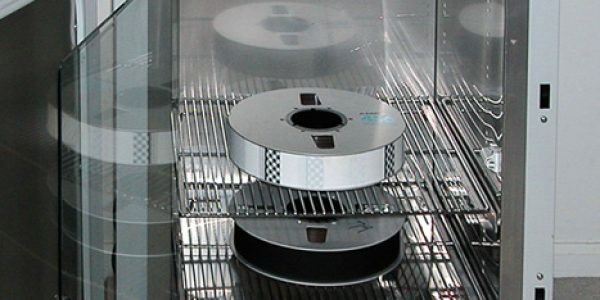 No one bakes a tape unless they plan to play it, but many tape restoration facilities use kitchen appliances for baking tapes. For the ultimate in safe handling, we use a Fisher Scientific incubator designed for critical use in research labs. A precision piece of laboratory gear, it can hold temperature to within 1/10 of a degree Celsius. Spacious interior dimensions allow the full range of tape reel sizes up to 16″ reels of 2″ tape.In the majority of cases, when tapes are baked properly, the tape will be temporarily playable with no deterioration of the sound of the recording. In extreme cases tapes require serious rescue. These recordings at risk most often are afflicted with a population of mold spores, which find a footing in the tape pack and require deep cleaning to restore the tape to safe playable condition. We have 2 specially designed transports and a full set of safety gear to handle the careful deep cleaning of troubled tapes. Our process has successfully rescued tapes that have been stored in root cellars, have been through hurricane flooding, and even stored in a damaged time capsule! Here at Sonicraft A2DX Lab we have every professional format and noise reduction system covered. Just send us the tape(s) and your problems are over. We’ll analyze them and set the lab up in whatever way is needed to make the perfect transfer. 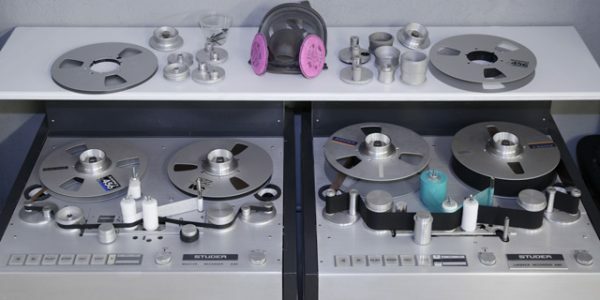 In the majority of cases, when tape baking is executed properly, the tape will again become temporarily playable with no perceptible deterioration of the sound of the recording. Then we can transfer your tapes into the digital domain where you will have easy access to remix, edit, remaster or whatever you like. Your transferred tapes will then be returned with a library wind ready for storage. When we transfer your tapes to the digital domain you get a mirror-image of what’s on your tape. We create one 24-bit Broadcast WAV file for each and every track at the sample rate of your choice (44.1 – 192 kHz). All of the popular digital audio workstation products are 100% compatible with this format. Just load the tracks into your digital audio workstation and dive in! We usually deliver files via password-protected download link, but if you prefer a different deliver method let us know and we can make arrangements. If you have a lot of tapes to transfer, you may want to provide an external drive and we’ll send it back to you with your finished job on it. I’ve completed listening to all the files now and have to congratulate you on doing a superb job — I know how badly damaged those tapes were and you were nothing short of a miracle worker in bringing them back to life. It sounds wonderful! I love the clarity! It’s like being back in the room with the musicians. I heard things on those tapes I’ve never heard before.